Typically, spring-cleaning is not a highly anticipated chore. Yet, it is something that any homeowner needs to address at some time in their life. If you are like me, many springs go by before having to deal with the clutter of unused and unwanted items lying about the house. When the accrual of junk seems overwhelming and piling it by the curb for your regular garbage company will not work because they will refuse to remove most of the items, renting a dumpster makes sense. Imagine being able to organize your home within a few days and having all those unwanted large bulky items hauled away in one swoop! Dumpsters are a perfect solution to inspire homeowners to let go of things that have been collecting dust and are obvious eyesores. Make your spring-cleaning easy and cost efficient by renting a roll-off dumpster over an idle weekend. A dumpster rental will help you avoid rounding up that sorely abused ‘friend with a truck’ to help you haul heavy appliances, electronics or furnishings to a dump. Is it worth renting a dumpster for a spring cleanout? Expecting that ‘friend with a truck’ to help haul seasons worth of junk could actually end that friendship! How many trips would it take you to get all your junk to the dump? How much would the gas and disposal fees cost? How much beer would you have to buy that ‘friend with a truck’? How much more energy will you expend moving heavy items onto and off that truck? How many visits to the chiropractor will you have to make because of a sore back? You can put just about anything in a dumpster, except for hazardous materials. That makes for a quick and easy cleanout that will leave you time to enjoy the beautiful weather that spring months have to offer! 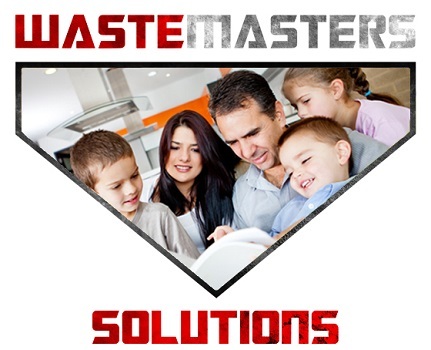 At WasteMasters Solutions, a waste management company, we have the right size dumpster for your needs. Want to find out more? Contact the dumpster solutions experts of Delaware and share on our Facebook page some of the ways you de-clutter your life. 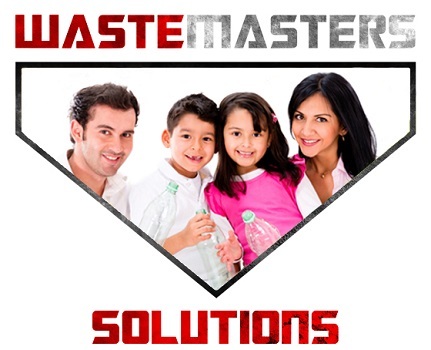 Waste Masters Solutions is a waste solution and recycling company serving Delaware, making it our mission to increase community awareness of the importance of reducing, recycling, reusing as much as possible. 1) Create an ‘Energy Saving’ Strategy: Optimize your energy usage by powering up only the electronic equipment and lighting in spaces that are in use. Avoid ‘phantom load’ which is a senseless drain by equipping employees with a ‘Smart’ power strip. 2) Go Paperless: Skip paper when possible and have a recycle paper protocol throughout the office. Use PCW (Post-Consumer Waste) Paper Products; these paper and packaging products use 45% less energy to produce and create half the waste than that of the traditional paper-making process. 3) Use Energy Efficient Lighting: Yes, compact-fluorescent (CFL) or LED lights are more expensive than standard incandescent bulbs, but they use much less energy and last a lot longer. It could possible save you up to $200 per bulb over time. 5) Install Water Efficient Products: Water conservation is another great way to go green. Placing water efficient products in bathrooms will reduce water use. 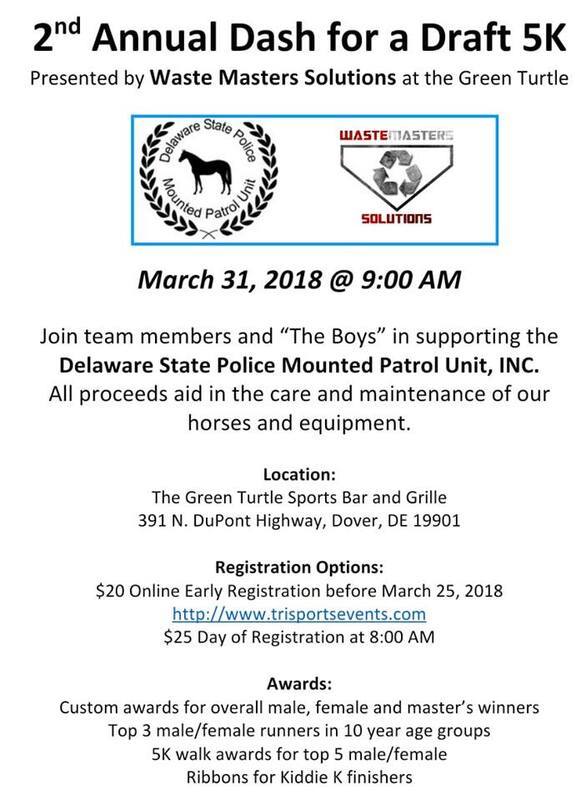 Waste Masters Solutions and its CEO, Steve Masterson, is supporting the Delaware State Police Mounted Patrol Unit (DSPMPU) and would like to invite you to help this worthy cause. The DSPMPU is a nonprofit organization that enhances the traditional function of the Delaware State Police during public events and specialized patrol activities as well as paying formal respect to fallen comrades. Masterson believes that the Mounted Unit serves our state so well, yet is insufficiently funded to do the job that is of intrinsic value to our community. He shares that there is a great need within the Mounted Unit for the most basic items, such as saddles, bridles and training equipment, as well as bigger ticket items to help transfer these abasing officers around. 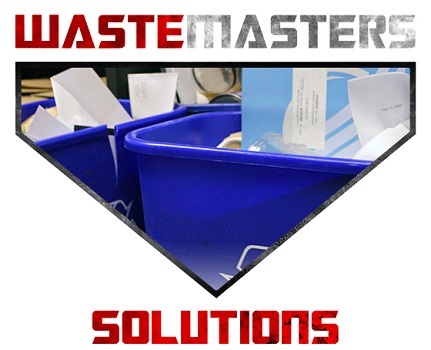 Those of us at Waste Masters Solutions is aware of the constancy with which the community is asked to donate to deserving causes and would greatly appreciate whatever you do and thank you in advance for your consideration. Waste Masters is proud to announce its second Annual Dash for a Draft 5K, a fundraiser presented by Waste Masters Solutions and the Green Turtle Sports Bar and Grille in Dover, Delaware. The 5K will take place on March 31, 2018 at 9 am at the Green Turtle. All proceeds aid in the care and maintenance of the Delaware State Mounted Patrol Unit’s horses and equipment. Register before March 25th for $20 and save $5. Registration thereafter will be $25. There will be custom awards for overall male, female and master’s winners, as well as for the top 3 male/female runners in the 10 year age groups and ribbons for the Kiddie K finishers. The top 5 male/female 5K walkers will also receive awards. At WasteMasters Solutions, a commercial waste management company, we believe community involvement is in everyone’s best interest. Want to find out more? Contact the commercial recycling solutions experts of Delaware and share on our Facebook page some of the ways your business meets or excel at community service. 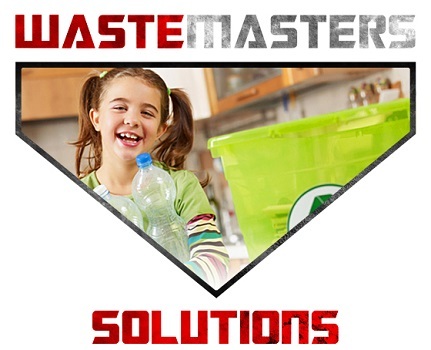 Waste Masters Solutions is a commercial waste solution and recycling company serving Delaware, making it our mission to increase community awareness of the importance of reducing, recycling, reusing as much as possible.